The earth’s surface is mostly covered by water and the human body is made up of mostly water, which shows that there is a link between water, ecosystems, and health. However, there is a shortage of safe drinking water and adequate sanitation, which can result in very serious illnesses. Besides water-borne illnesses, there are chemicals, such as pesticides and other synthetic chemicals that make their way into the water systems because of runoff. It is more than farmers and other people who put chemicals into the water, such items oil, gasoline, and sewage are dumped into the ground and end up in our water resources. But there are ways that we can protect our natural water systems. People can take an ecosystem approach to help saving the water systems across the world. Anybody can implement the ecosystem approach by taking certain precautions. First, do not over fertilize your lawn or garden or overuse pesticides. Additionally, you can use organic fertilizers or pesticides. Also, take care of your parks and waterways, and plant vegetation by the waterways. Find out what your community is doing to help with the natural water resources, and join up to help them. Water resource management is trying to manage water resources so that they are available, and to adjust water flow so that it can meet the growing needs of urbanization. A way to achieve this is to become more water efficient. One way you can help with this is to check for leaks around your home. You can also watch how much you water your lawn in the summer time, which you can use timed sprinklers to help with this. You can also plant shrubs or use groundcovers instead of grass in hard to water areas on your landscape. Additionally when washing dishes, do not leave the water running while you rinse your dishes. Also turn off the water while you are brushing your teeth, doing this will save 25 gallons of water in a month. It just takes doing these small tips to help with water management. We need to start protecting our water resources on a both a household and worldwide level to protect our water from contamination. One way to do this is to help protect our wetlands because they are starting to quickly disappear, and wetlands are a very important part of the ecosystem. The wetlands filter drinking water, protect coastlines from natural disasters, and are habitat for wildlife. 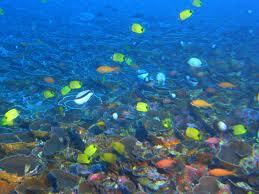 They are also the habitat for fish and other animals that are a food resource for us. The ecosystem and water play a very important part in our environment and our health. It is important for us to take care of our ecosystem and our natural water resources. If all our natural water sources become contaminated or extinct, the planet and human life will cease to exist. It is worth our time to do what we can to protect and conserve our natural water sources.